Gewürztraminer is a mouthful, in more ways than one. After 30 years of making, selling and championing wines from this lesser-known variety, Claiborne & Churchill Winery Founder, Clay Thompson, knows enough about its history, foibles and triumphs to be dubbed “The Godfather of Gewürz” by staff and all who know him. And with the recent release of C&C’s Alsatian-style 2014 Dry Gewürztraminer, this fascinating grape is most definitely on his mind. What does this crazy German word Gewürztraminer mean? 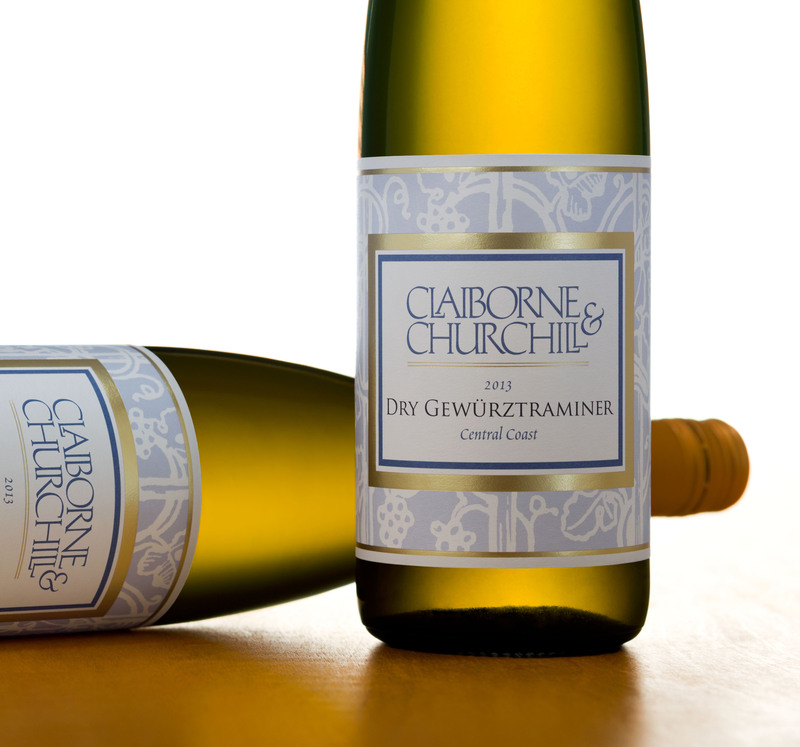 Clay Thompson: “Gewürztraminer” is actually TWO words. The first part (“Gewürz”) is a normal German noun, meaning “spice.” The second part (“traminer”) is not a normal noun but a variant of a place-name, a town called “Tramin,” located in the German-speaking area of Northern Italy. For decades we’ve all been spouting the party line that the Gewürztraminer grape originated in Tramin/Termeno, and in fact there are thousand-year-old records of a wine there called “Traminer.” Now along comes DNA research showing that Traminer is actually a variant of a somewhat obscure grape called “Savignin Blanc” (not to be confused with Sauvignon Blanc), and its home is northeastern France and Southwestern Germany rather than northern Italy. 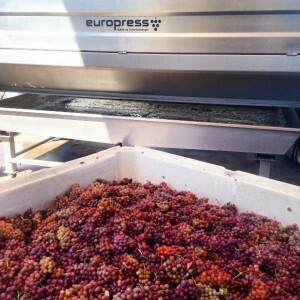 How and why did you get into Gewürztraminer? 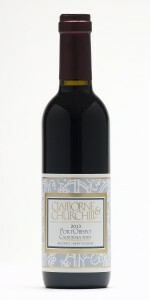 My wife [partner, Fredericka Churchill] and I were always rather “European” in our wine preferences. We were both very fond of German and Alsatian wines, so when we got this wacky idea to leave our comfy jobs in academia and move to California “to start a winery” (as if that were a simple thing to do), we took our inspiration from those wines. In the summer of 1983 we went to Alsace and hiked along the “Wine Road” from village to village, tasting the wines and talking to the vintners. 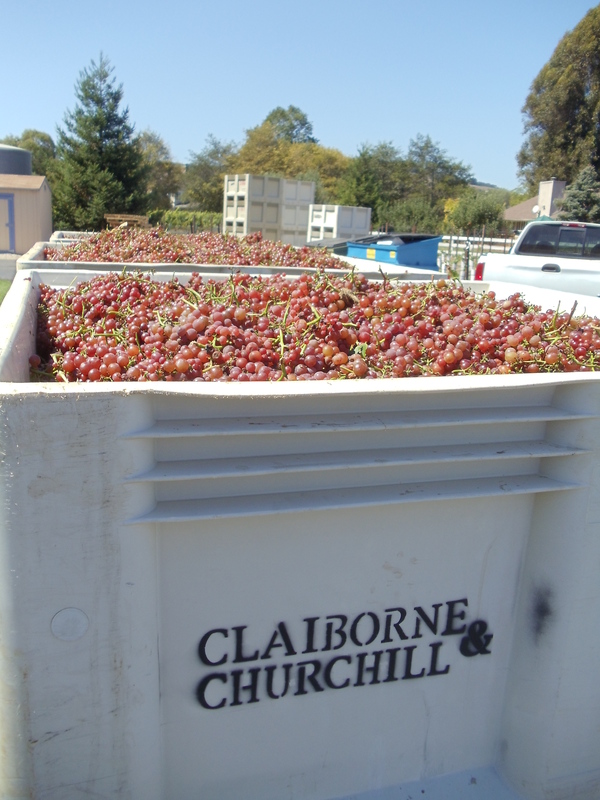 We came back inspired and in the fall bought eight tons of Gewürztraminer and Riesling grapes from a local vineyard and made the first vintage – 550 cases – of Claiborne & Churchill. How does Alsatian-style Gewürztraminer differ from, say, German Gewürztraminer? It’s generally agreed that the Alsace versions of this wine are more aromatic than their German or Italian cousins. But historically there is another major difference between Alsace wines and the German wines across the border. In a nutshell: Germans make ‘em sweet, Alsatians make ‘em dry. Everybody knows how lovely the delicate sweet Mosel wines are (and how cloyingly sweet the inexpensive versions like Liebfraumilch are). And everybody knows how firm and dry and well-structured an Alsatian Gewürz or Riesling is. For years we have explained our C&C wines in this way. If I had a nickel for every time I’ve said, “try it, it’s fruity but dry,” I could have retired long ago. 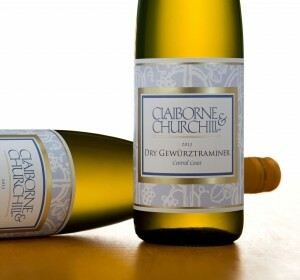 Where does C&C Gewürztraminer come from? In the early years, our Gewürz came from here in the Edna Valley, then from neighboring Santa Barbara and Monterey Counties, finally settling on the latter; especially the Arroyo Seco area, where a very cool microclimate produces wonderful aromatics. What are the typical aromas and flavors associated with wine made from Gewürztraminer? Some common descriptors are quite flattering (“damask rose” as one wine writer said of ours), and some, really weird (“cold cream”). The most common is probably lychee. Sometimes Gewürz goes through a grapefruity phase as it develops, and takes on rich and heady notes of ginger, allspice, and other baking spices. What are the challenges of making it? 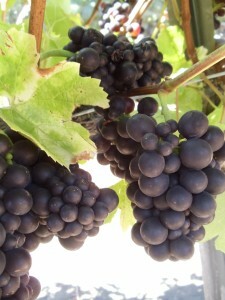 As Gewürz ripens on the vine, the famous spicy flavors and aromas start to develop just as the acidity starts to drop. It is important to catch this moment and harvest it before the acid disappears, leaving you with a very flabby wine. In the cellar, fermentation should be temperature controlled (i.e. cold), so you don’t lose all those aromatic esters. How long between harvest, bottling, and release? At C&C, it is always the first wine to be bottled, soon in the new year. It can be released after a few weeks’ bottle-aging, although there is something very special about an older (five to ten years) Gewürz, when it has acquired the rich and complex patina of age. 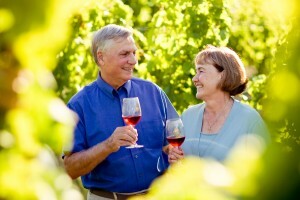 How do you enjoy Gewürztraminer best? I enjoy Gewürztraminer best in months that contain a vowel, preferably on days that contain a “d.” But seriously, it is not only a great aperitif wine, but is also a great wine to pair with spicy, exotic, foods like Thai, Indian, Szechwan, and Japanese. It also matches up well with those in-between dishes, like pork, ham, turkey and salmon. 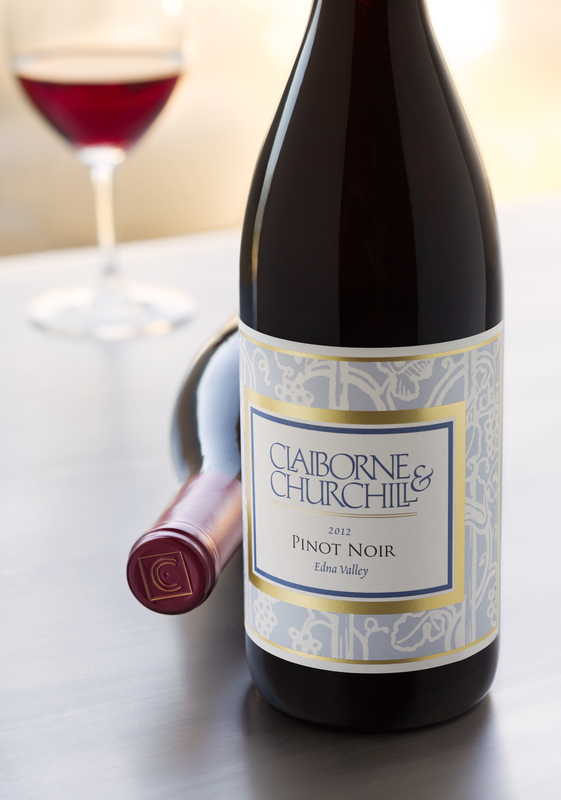 Though our name Claiborne & Churchill Winery is synonymous with Alsatian-style dry Riesling and Gewürztraminer, we have also developed a reputation for complex, layered Pinot Noirs from the Edna Valley of San Luis Obispo. We’re taking a look at our three staple Pinot’s: “Classic” Pinot Noir, “Runestone” Pinot Noir, “Twin Creeks” Pinot Noir and a brand new release our “Twin Creeks” Pinot Noir, Martini Clone. Since the late 1980s the “Classic” Pinot Noir has been a staple of our repertoire, and has always been made to showcase the elegance and complexities of Pinot Noir from the Edna Valley. 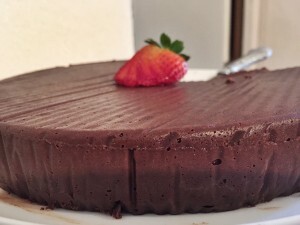 With fruit sourced from Wolff Vineyards and Twin Creeks Vineyards, the 2012 vintage balances flavors of ripe cherries, herbs and spices and aromas of vanilla, cherries, and lightly toasted oak. The Classic Pinot’s smooth mouthfeel, silky tannins, and good acidity makes this wine a perfect match for wild Alaskan salmon, lamb chops, duck breast, and an assortment of cheeses. Production of the Twin Creeks Pinot Noir is extremely limited and sold primarily to members of our Cellar Club and in the tasting room. This wine is distinguished by its source: a collection of small vineyards on and around Twin Creeks Way, just down the road from the winery. 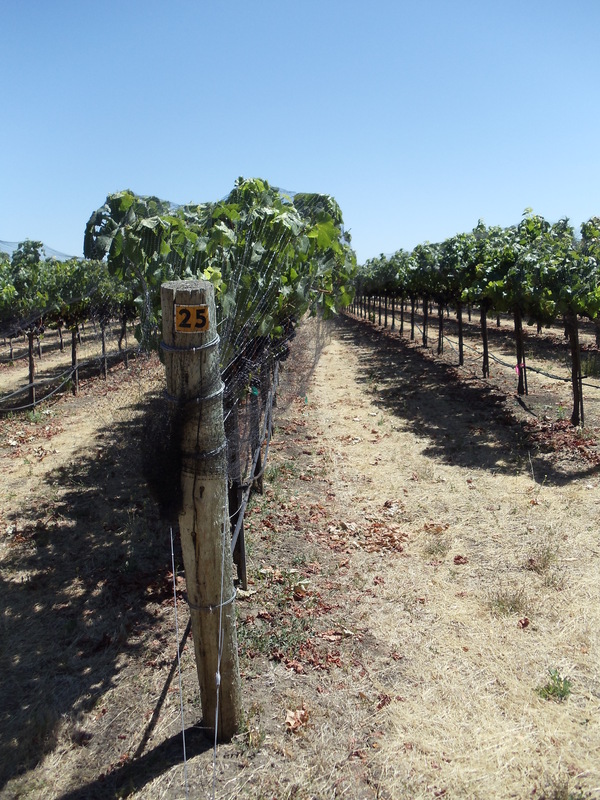 These vineyards’ special soil and clonal selections help give the Twin Creeks its famous bold and spicy flavors, vivid cola and earthy aromas, and outstanding ageability. Pair it with lamb, duck, or beef bourguignon. 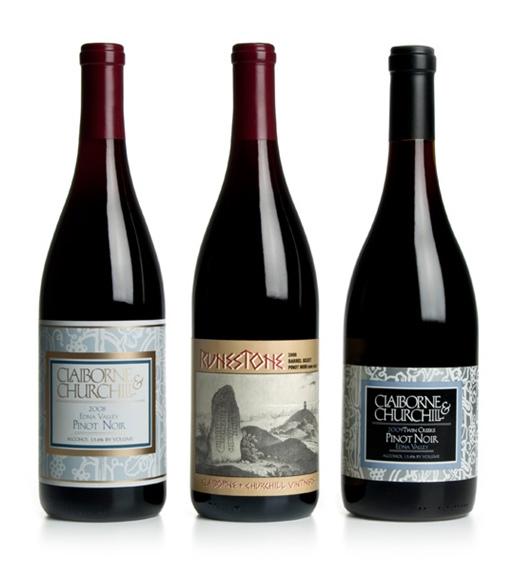 To produce the coveted Runestone Pinot Noir, winemaker, Coby Parker-Garcia selected eight standout barrels from the 2012 vintage, which he blended together to create a remarkably elegant yet complex wine. Fruit was sourced from Twin Creeks Vineyard, located on the west side of the Edna Valley, where the cool, coastal climate and heavy clay soils provides exceptional quality; as well as Wolff Vineyards, on the east side, which grows Pinot Noir that yields undeniably fleshy fruit-forward flavors. Together, these vineyards produce a wine that balances its soft tannin and velvety mouth feel with ample fruit notes. Our 2012 Runestone Pinot Noir offers vivid aromas of cherry, dried strawberries, and hints of oak. The palate is complex, layered with bright cherry, sweet raspberry, dark fruit and baking spice, with a finish that is ethereal and long lasting. A quintessential wine for pairing with winter fare, the 2012 Runestone Pinot Noir complements rack of lamb, sage-brushed turkey, and wild Alaskan salmon, and will continue to develop and improve over the next 8-10 years. Sold exclusively to members of our Cellar Club. As mentioned above, our Twin Creeks Pinot Noir is a wine that delivers great structure, earth and spice notes, and outstanding ageability. As it happens, the four vineyards that make up the “Twin Creeks” bottling boast three different clones of Pinot Noir and two different rootstocks. With the intent to showcase the different Pinot Noir clones in our Twin Creeks Vineyards we decided to start producing small bottlings of each individual clone. We are now excited to announce the release of our first ever clonal-select Pinot Noir, the 2013 Twin Creeks “Martini” clone. This clone has a rich history in California. It was originally brought to California from France to produce sparkling wine, but has since then been the basis for many exceptional Pinot Noirs. This Pinot Noir has a light ruby color and delivers beautiful floral and vanilla aromas with hints of sweet cherries and dried herbs. On the palate, the wine balances bright red fruit flavors, nice acid, and a youthful mouthfeel. You might want to open this wine a couple of hours prior to serving, or decant it if you wish. 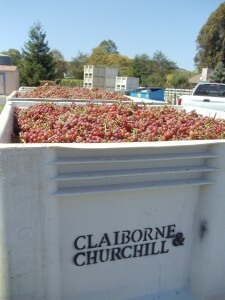 This Pinot will age nicely for the next 7-9 years. Sold exclusively to members of our Cellar Club.